Blue Facetform by Line Gottfred Petersen. Photo by Anders Sune Berg. It’s great to see creatives experiment with their craft and push through new ground. Colour seems to be an area that’s instantly on the agenda, but I’m personally attracted to the art of reduction and taking away from the form itself to leave only the necessary. For me it’s about creating something that can endure, taking away until what’s left is essential. The line is harder to decipher when it comes to sculpture, but it’s quite obvious on the eye when something has been considered and reduced down. 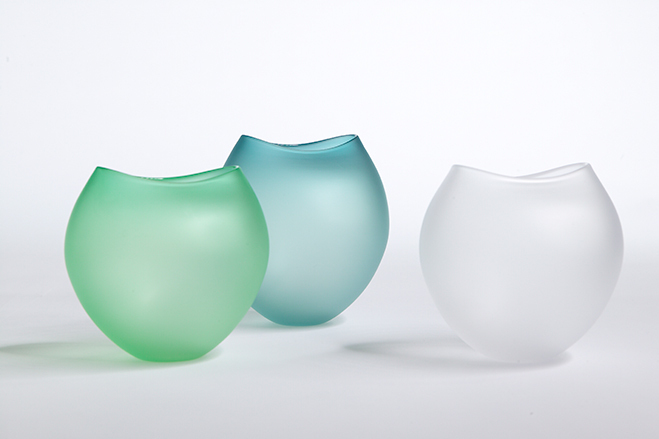 A creative that caught my attention was Danish glassblower Line Gottfred Petersen. 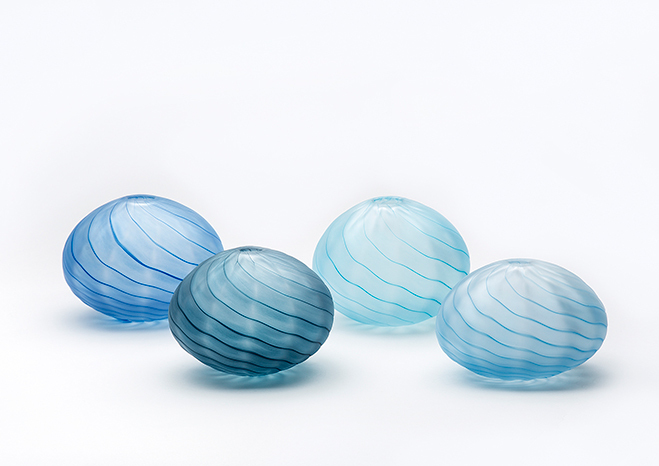 She began her glass training in England in 1994, combining this with workshop experience in Denmark before moving on to the glass and ceramic school in Bornholm. 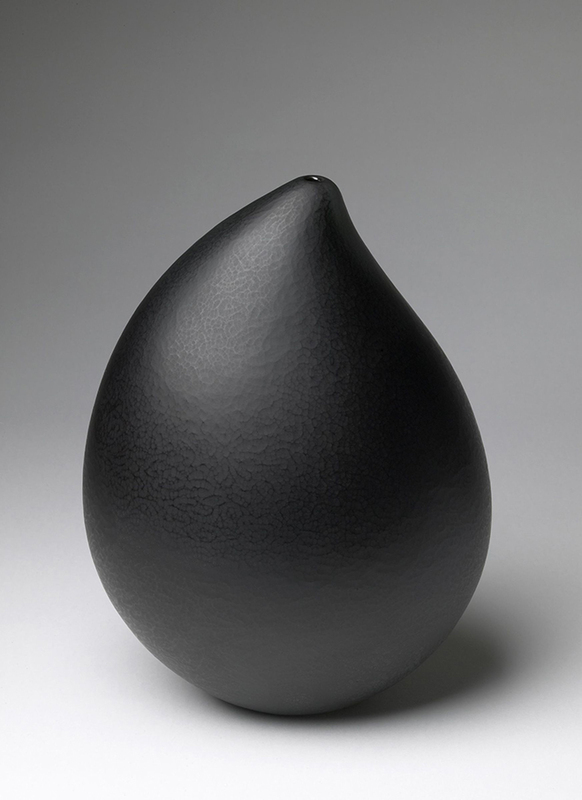 Her vessels are quiet and classical, with the pieces emphasised thanks to subtle manipulation of the materials surface. 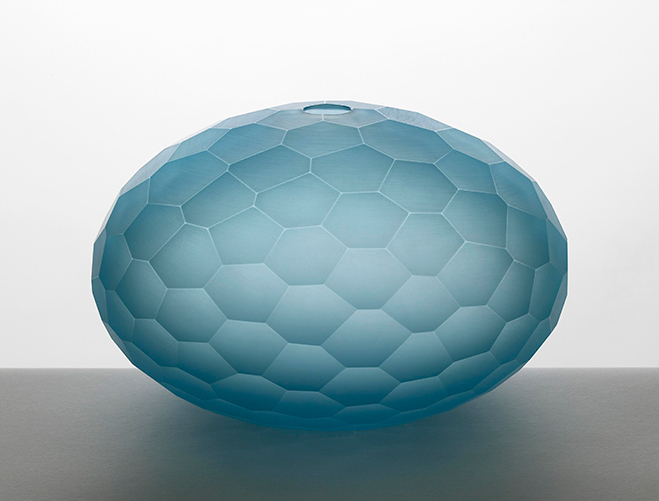 Take for example her faceted forms, the exterior has been diamond cut to create the hexagonal pattern which bounces and absorbs light quite beautifully. 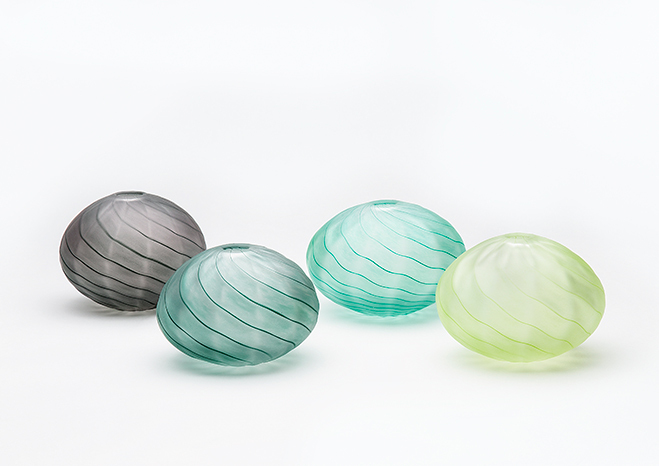 Alongside these jagged vases she’s also produced flowing vessels of all different sizes, those that have mainly a teardrop or spherical shape to them. These really do bridge the gap between functional and sculptural. 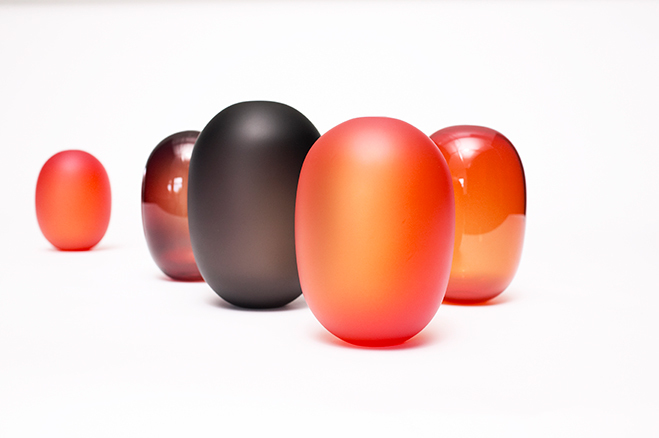 Not only could they be sized down to function as practical homewares, such as a vase or pouring jug, they could also be blown up on a bigger scale. Hopefully you appreciate these like I do and head over to Line’s website for more, I can’t wait to track her work and see what else she can create in the future. Leaf and Bud Line by Gottfred Petersen. Photo by P Højmark. 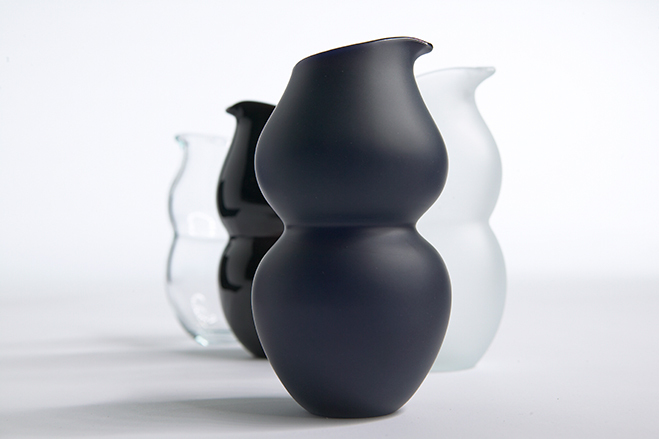 Jugs by Line Gottfred Petersen. Photo by Enok. Green waves by Line Gottfred Petersen. Photo by Per Bille. Lanterns by Line Gottfred Petersen. Photo by Enok. Black Seed by Line Gottfred Petersen. Photo by Anders Sune Berg. 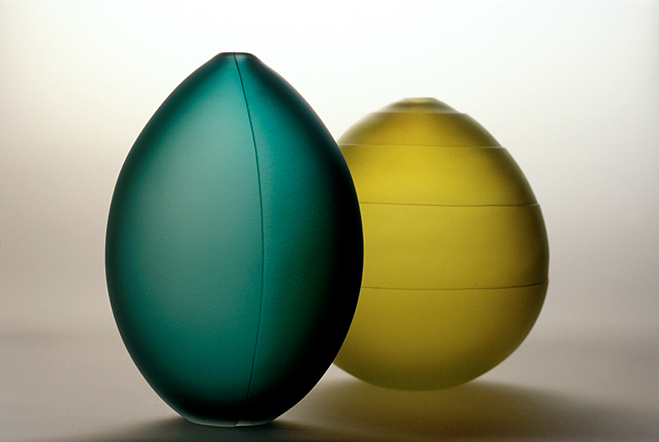 Oval vases by Line Gottfred Petersen. Poto by Enok. Blue waves by Line Gottfred Petersen. Photo by Per Bille.